Ya Jagoff!!! 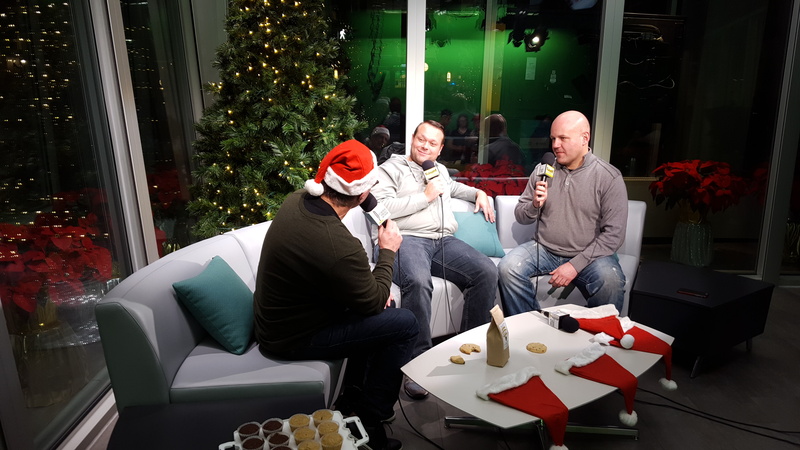 | YaJagoff Podcast, Episode 49- "Cookies, Christmas Carols and a Bloke"
Recorded at the Point Park University Center for Media Innovation. We had our longest-traveled guest (Perth, Australia) and our youngest guest (22 years old) and then brought in comedian Aaron Kleiber to make sense of it all. 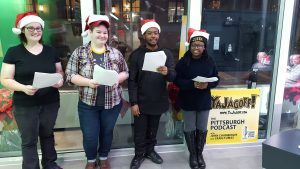 We had cookies and punch from Mary Mac Bakehouse, and HUUUUUGE thanks to the folks at Point Park University… Andrew Conte, Chelsea Pompeani, Ty Polk, Donethe Cyprien and our stunt carolers, Jane and Anna McAnallen. 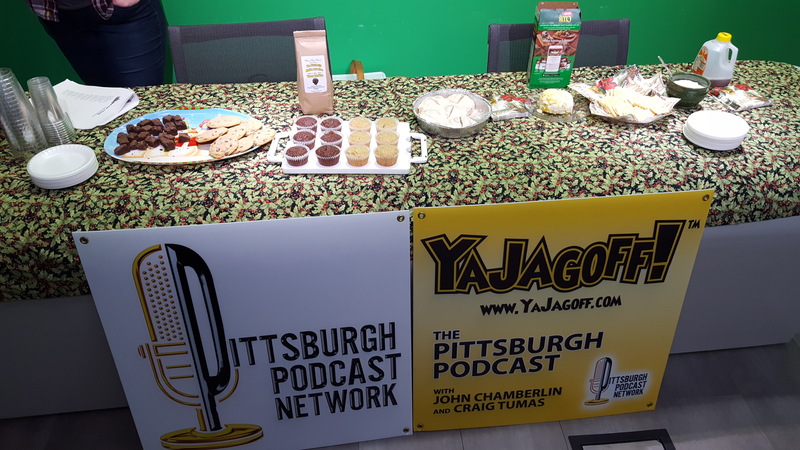 LISTEN to the Podcast show right here below or on iTunes, Apple Podcasts, Google Play Music, Stitcher Radio, Soundcloud, Overcast, Pocket Casts, and Tunein Radio via the “Pittsburgh Podcast Network” channel. Music: Random Christmas Carols from Random Christmas Carolers that Frank coerced into singing. 00:58 Sitting in the classy radio studio of the Point Park University Center for Media Innovation…we didn’t even spill hot cocoa on the buttons… we SWEAR! 2:33 Long-time follower of the YaJagoff.com blog and Pittsburgh-lover from Perth, Australia, Beau Watson. It all started with the Steelers and MySpace! 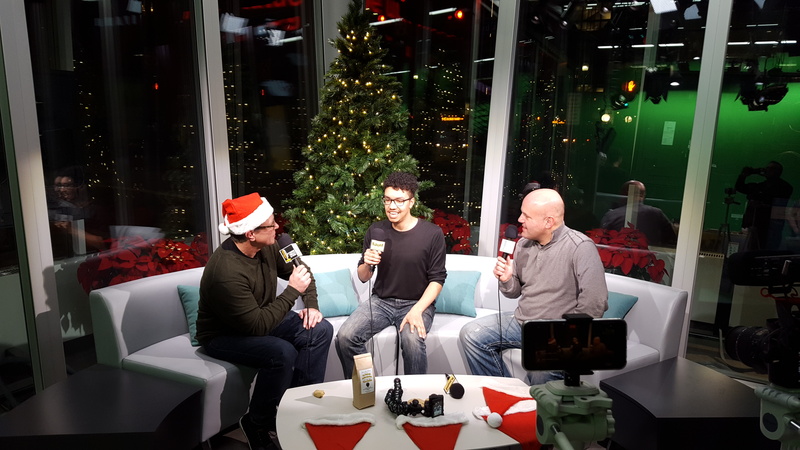 25:49 Comedian Aaron Kleiber kicks back on the TV studio couch with us and the Christmas tree. 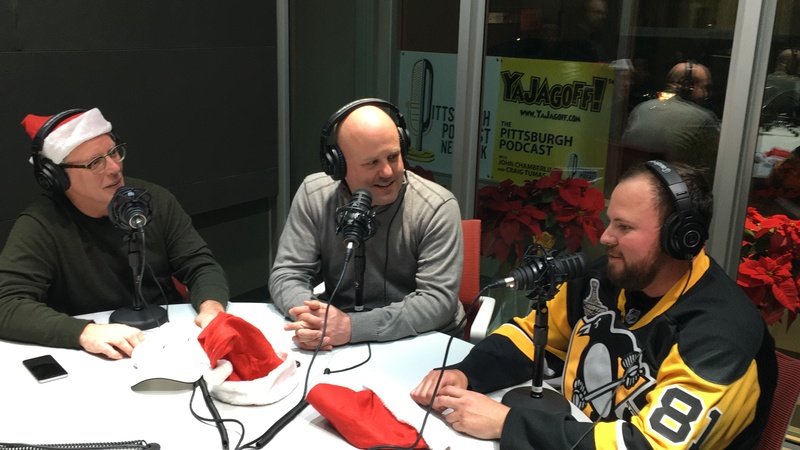 The next podcast: we will be recording at Adda Coffee on December 10th, noon-2pm and at the Wheeling Nailers game, in ugly sweaters, on December 22nd. All shows on the “Pittsburgh Podcast Network” are free and available to listen 24/7/365 worldwide. Audio-On-Demand in-your-hand, on smartphone, tablet, laptop and desktop computers. – ALL users can listen on computers, tablets, and smartphones via RSS, SoundCloud, Stitcher Radio, Overcast, Pocket Casts or tunein radio, website or apps. Previous articleWho’s At Lunch When You Run Out On Your Lunch Hour For Something?? 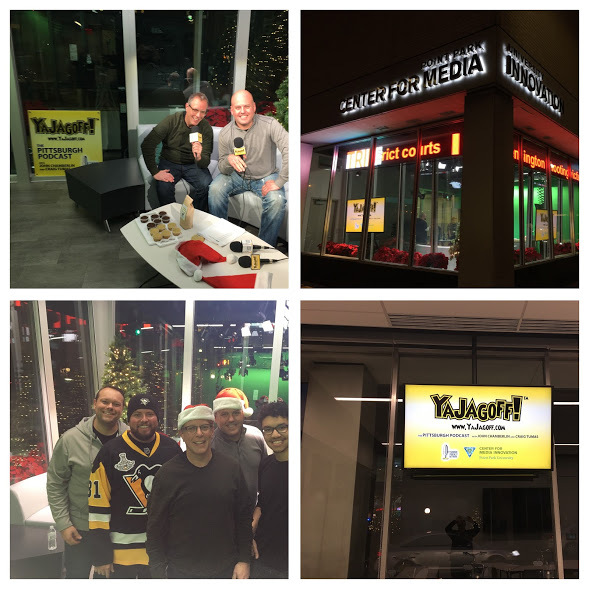 YaJagoff Podcast / Shalieve It’s a Good Podcast!